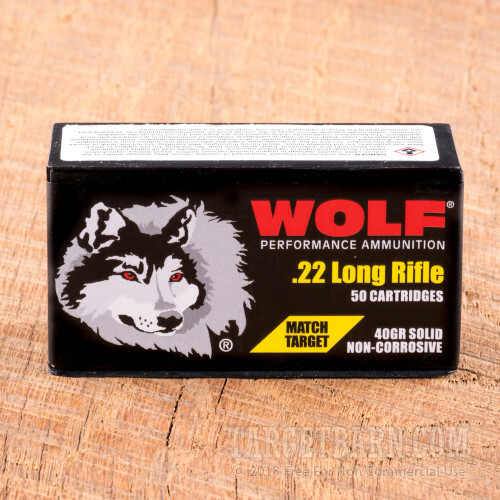 These 500 rounds of 22 LR Wolf Match Target ammunition will give you substantial practice at the range for an economical price. 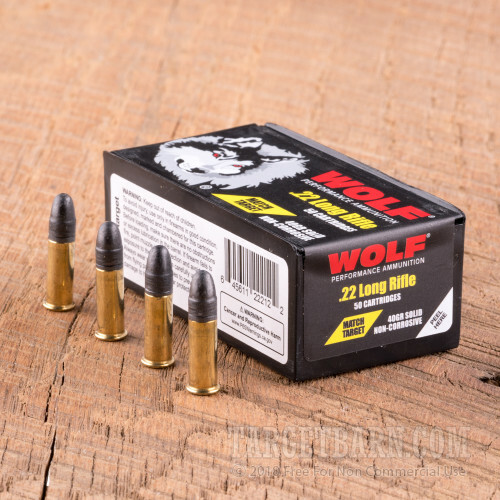 Produced in Germany, Wolf's ammunition has an outstanding reputation for being accurate, yet affordable. The 40 grain lead round nose bullet in this round will give you dead-on precision and consistent firing with its legendary Vihtavuori powder. 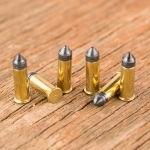 Brass casing and rimfire primers are utilized in these rounds. You will achieve a muzzle velocity of 1050 feet per second, and this 22 LR ammo has a subsonic velocity rating. 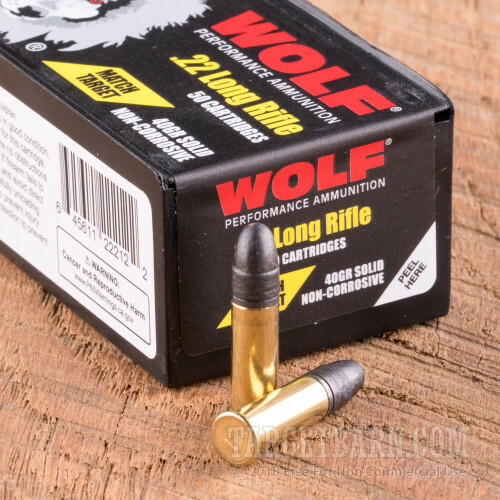 Take advantage of saving money by buying in bulk. Order your 500 rounds today!